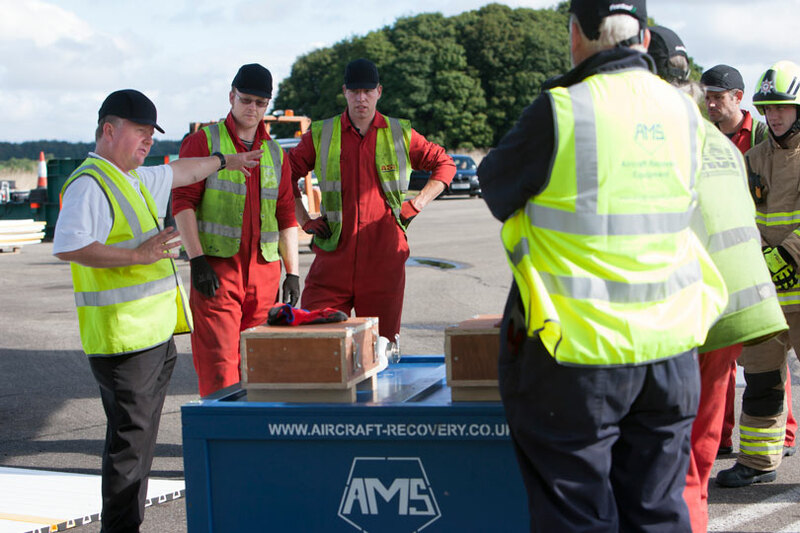 AMS produce an extensive range of tethering equipment to satisfy the requirements of the manufacturer’s Aircraft Recovery Manual. 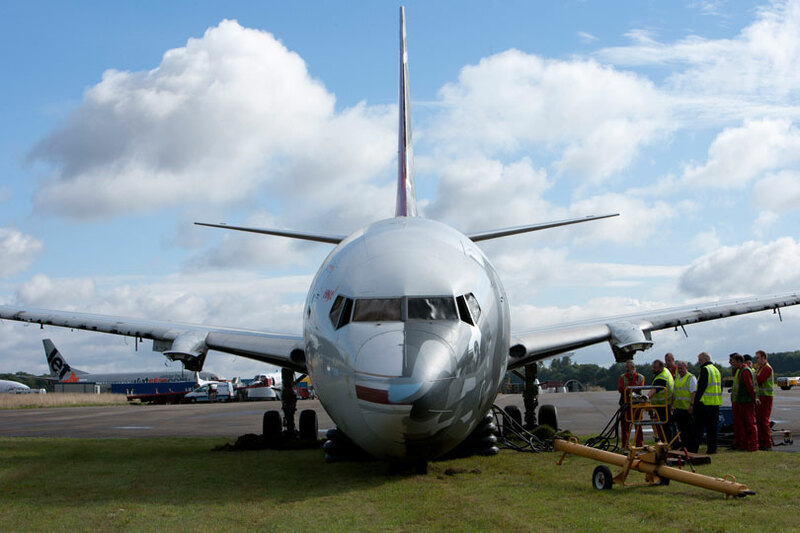 The Aircraft Recovery Manual states all aircraft should be stabilised during the lifting operation by using hand-operated winches (Reference Boeing ARM D6-30114. Section 3-20-1). 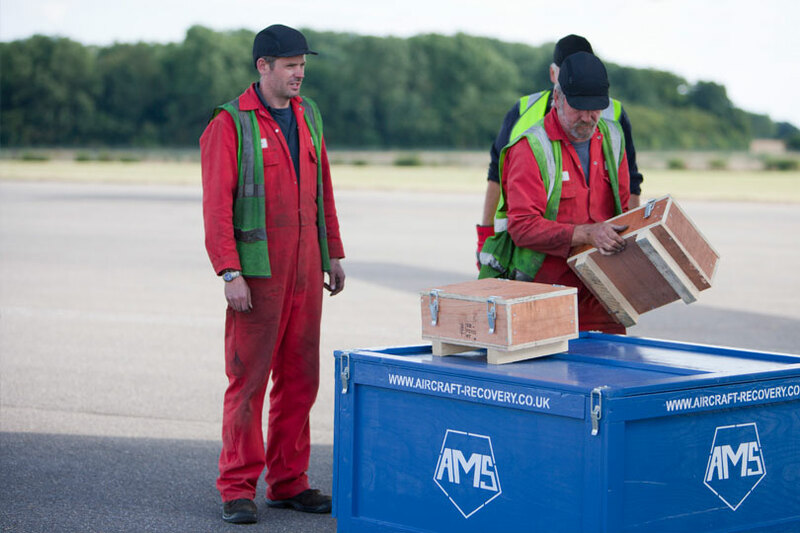 Our 25 years experience in manufacturing world-class aircraft recovery systems has resulted in a broad range of proven, field-tested tethering equipment. 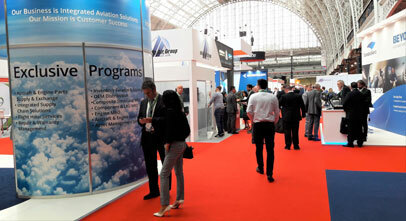 It is recommended that a minimum of four sets are used for narrow body aircraft and six sets for wide body aircraft. 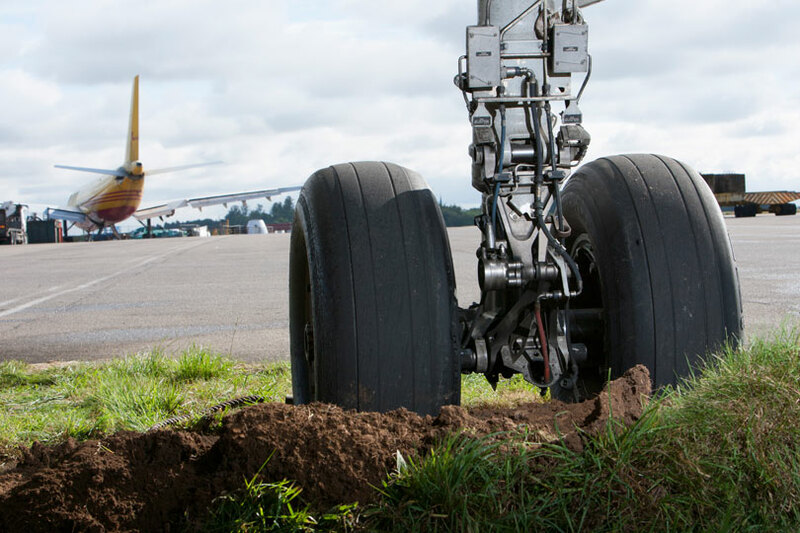 Each winch is independently operated and, under the direction of the team leader, the operator can keep the aircraft in a level attitude at all times. The AMS Winch is fitted with both forward and reverse gearing. The main winch is manufactured from stamped steel casing with a reinforced design. It also has double galvanised protection, is lightweight, strong and includes transportation handles. The steel cable has been galvanised to extend life expectancy. All other slings are manufactured from 100% polyester yarn hank, are colour coded and marked with serial number(s) and working load limits. We can provide loadcells (as an accessory item) to monitor the applied load at all times.